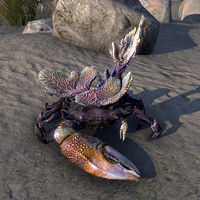 Coral Crabs are large sandcrabs that appear along the coastline of the Summerset Isle. 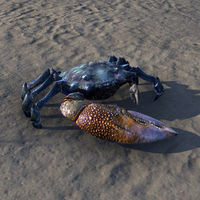 The crabs appear in two varieties: a purple variant with coral growing upon its back and a blue variant without a coral growth. Both types possess a small and a large claw. This page was last modified on 17 January 2019, at 14:19.